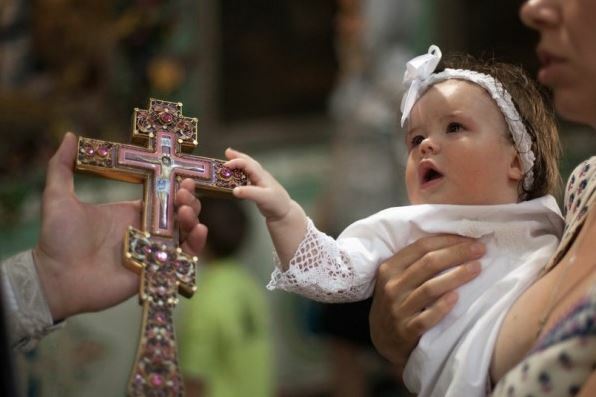 Share the post "A List of Responsibilities of a Godparent in the Orthodox Church"
The Responsibilities of the Godparent only begin at baptism, the role really expands and hopefully blossoms as the Godparent and Godchild develop a close and loving relationship. As with any relationship, this spiritual one needs to be fostered and cared for in order for it to develop. The best way for this relationship to grow is through prayer. Pray for your Godchild and his or her parents, and the parents should encourage their child to pray for the Godparents. By doing this you are encouraging a relationship and giving it the spiritual basis on which to mature. 1) Celebrate the anniversary of the baptism with a card or a telephone call. Along with learning about the child’s patron saint, learn about the saint whose feast day is celebrated on the date of his or her baptism and share the story of that saint’s life with your Godchild. 2) Model your faith through your actions. Understand the sacraments as well as the teachings of the church so that you will be able to answer questions that your Godchild may have. 3) Encourage the faith life through the types of gifts that you give your Godchild. Some examples of gifts are a bible, prayer book, books on the lives of saints, prayer rope, etc. By doing this you are giving tools to help your Godchild grow in the faith, and are helping him/her to start a personal library of Orthodox teachings. 4) If you live in close proximity to your Godchild make yourself available to spend time with him or her. Find out when school activities and sports events are scheduled and try to go to a few. Plan a special time, whether for lunch or a trip to the zoo, to be with your Godchild. These times together will only help to make your relationship closer. 5) If you live far away, call, write, or e-mail your Godchild. Send a letter at the beginning of a church season (Advent, Lent, etc.) to let him or her know that you will be praying for him. If possible, plan visits to see your Godchild. 7) A faithful Godparent will be a friend in Christ and maintain close contact with his Godchild. The focus at all times is to progress the child in the knowledge and practice of the Orthodox Faith. He should at all times model a Christ-like example. 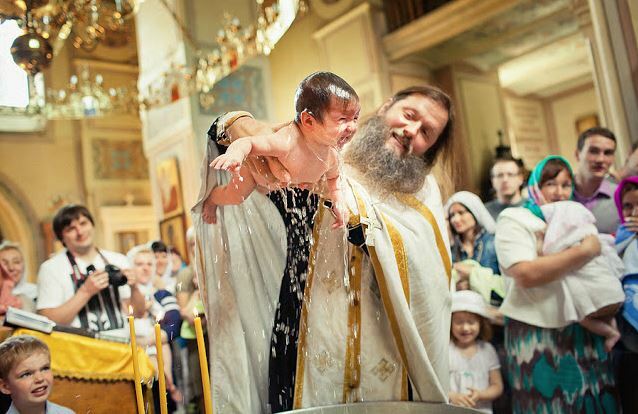 The relationship between the Godparent and the baptized is so important and so close that the Church forbids marriage between the Godparent and Godchild. 8) Pray through the ups and downs of life with your Godchild. Find out what’s troubling or challenging your Godchild, what he or she is excited about or eagerly anticipating, then do your best to talk about God in that context. Encourage your Godchild to pray, pray together, and let your godchild know that you are praying for him or her every day. 9) Make a big deal of your Godchild’s Name Day. Celebrate with a special visit and dinner if you’re nearby, and give a “spiritually oriented” gift to celebrate, like an age-appropriate book of his patron saint’s life, a new icon, etc. 10) Emphasize the spiritual aspects of holidays. Make it a tradition to read the stories of the Nativity and Pascha morning with your godchild, and help his or her parents downplay the material and commercial aspects (Santa, the Easter Bunny, loads of loot in pretty wrapping). Play up the feasts of the Church instead – by bringing candles to be blessed at the Feast of the Presentation and flowers at the Dormition of the Theotokos and sharing them with your godchild, or by baking a birthday cake for the nativities of the Theotokos, Jesus, and St. John the Baptist. 11) Invite your godchild to go with you to Great Vespers, Matins, or weekday services for the feasts if you live close by. Encourage your whole “god-family” to come to Church for services other than the Sunday/resurrectional Divine Liturgy, if they don’t do so regularly. 12) Ask what your godchild is learning in Church school. Discuss the lesson of the week, and offer to help with Church school homework, prepare for oratorical competition or catechism bowl, etc. Buy your godchild’s first Bible, and update it regularly as his or her reading level increases. Encourage him or her to study the Gospel! 13) Help your godchild serve God. Choose a service project to work at regularly together, such as working at a hot-meal program or visiting parishioners in the hospital. Help him or her discover new ways to use God-given talents to help others – the artistic might design posters or programs for retreats, the musical might record Church music for shut-ins, etc. Encourage your godsons to serve in the altar, too, and “cheer them on” each week. 14) Encourage both boys and girls to attend seminary, and explore the monastic lifestyle, if they show interest. Mention the priesthood as a “career choice” to your godsons, and help them learn more about what our Orthodox clergy do – and how important their calling to guide others in the Faith is to all of us! 15) Make your godchild “one of the family”. Include your godchild, and his or her parents and siblings, in your own family’s “social” events: reunions, picnics, camping trips, and zoo and museum outings. 16) Spend time together. Keep in touch by phone, e-mail, or postcard if your godchildren are out of state or across the globe. Prayer and love in Christ know no distance!